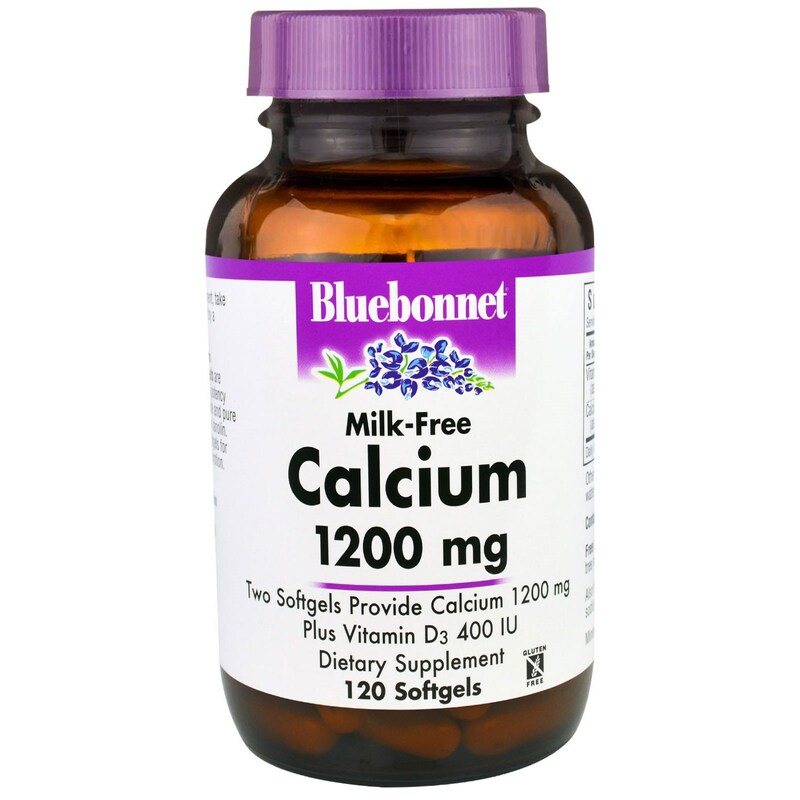 Bluebonnet's Milk-Free Calcium 1200 mg Plus Vitamin D3 Softgels are specially formulated with a high potency combination of calcium carbonate and pure vitamin D3 (cholecalciferol) from lanolin. Available in easy-to-swallow softgels for maximum assimilation and absorption. 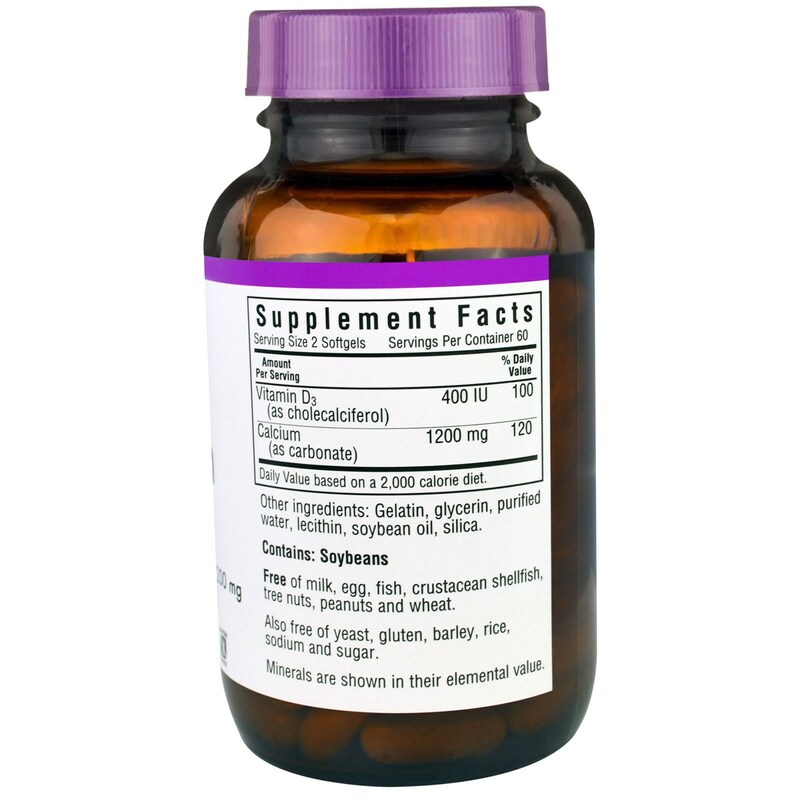 As a dietary supplement, take two softgels daily or as directed by healthcare practitioner. 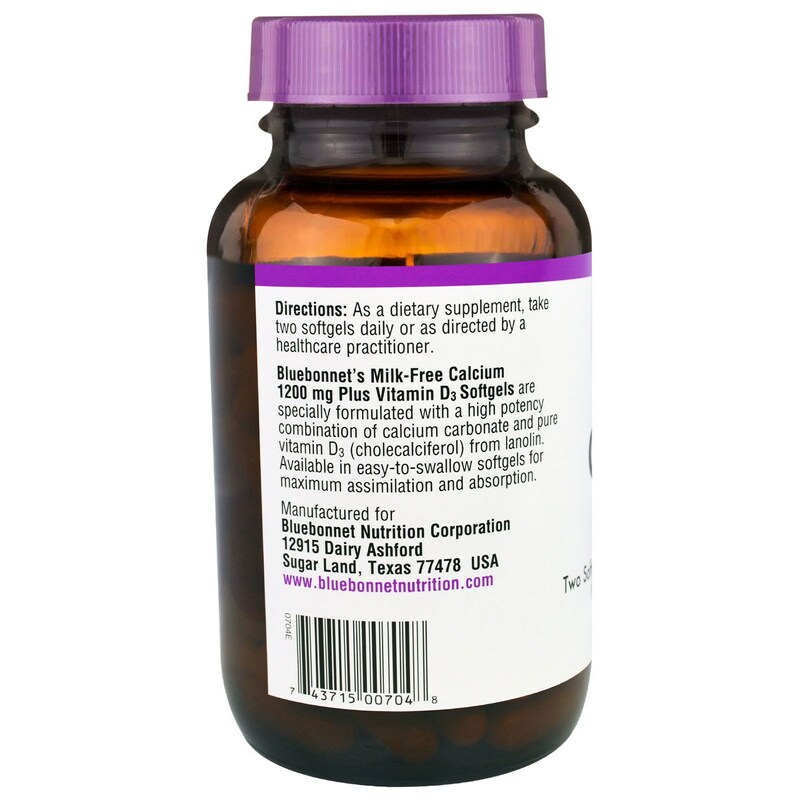 Gelatin, glycerin, purified water, lecithin, soybean, oil, silica. Minerals are show in their elemental value.